All information and data collected under the auspices of the FSRS remain the property of the FSRS, not withstanding any access granted to individuals or other groups or organizations for interpretation and analysis. Use of the data is limited to the analyses and purposes set forth in his/her/their proposal. All original data media will be returned when the analysis is complete and he/she/they undertake to delete all copies of the data and intermediate results. 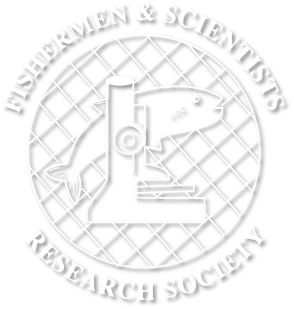 Any analytical products to be retained for possible future use will be provided to the FSRS Research Biologist and retained only by him/her. All published results will be grouped at the level of port or port cluster to ensure anonymity of the data provider and no spatial data will be presented revealing fishing locations (minimum of three data points must be used, five points in each grouping is preferred). Conclusions presented in any products other than FSRS products must include a disclaimer to the effect that the interpretation and conclusions reached by the person preparing the product when analyzing the FSRS’s data are not necessarily those of the FSRS. Conclusions must first be presented to the FSRS. The FSRS must be acknowledged as the source of the data. The Executive Committee can approve exceptions to these policies if deemed necessary. Each case will be reviewed on an individual basis. The FSRS and its Executive assume no liability in connection with any use and/or interpretation of its data.